ReDot Gallery cordially invites you to ‘Yankuni laju karnkani kujungka’ (We are traveling together by air). 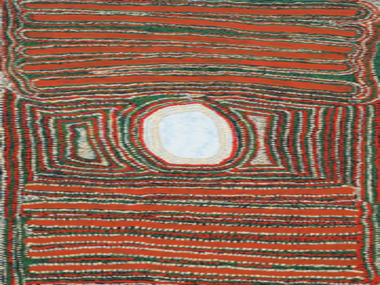 The first international show of fine Aboriginal paintings from Martumili Artists. 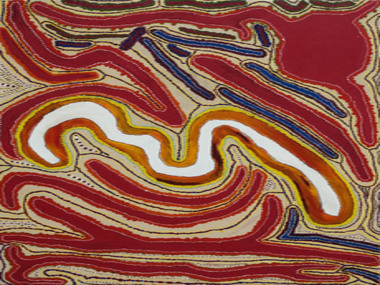 Ms Penny Burtt, Australia's Deputy High Commissioner to Singapore will inaugurate the exhibition. 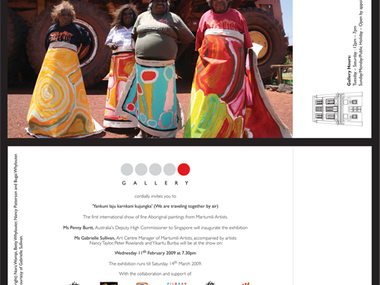 Ms Gabrielle Sullivan, Art Centre Manager of Martumili Artists, accompanied by artists Nancy Taylor, Peter Rowlands and Yikartu Bunba will be at the show on: Wednesday 11th February 2009 at 7.30pm. The exhibition runs till Saturday 14th March 2009. REDOT GALLERY Pte Ltd, 11 Everton Road, Singapore, 089367.